9.Where Have all the Good Times Gone? This one picks up from where the last release left off, which is good. 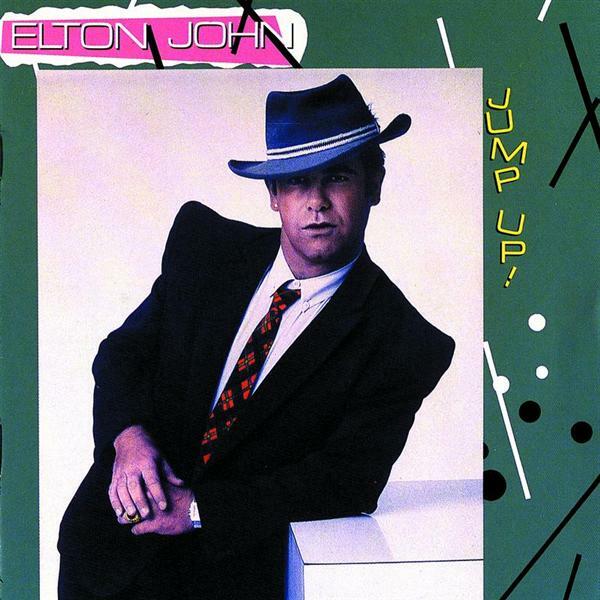 This album appropriately put Elton back on the map. Chris Thomas is back at the helm of producing and handles the whole release this time. All tracks are "radio friendly" with no surprises, and he uses a consistent line up of musicians. This time, familiar faces James Newton Howard and Dee Murray are present, the late great Jeff Porcaro is on Drums and Richie Zito is on Guitars. (Davey Johnstone and Nigel Olsson would join on tour, making this the reunion of the "Ultimate Elton John Band"). He again collaborates with a few lyricists--most familiar are Bernie Taupin and Gary Osbourne. He also writes one song with Tim Rice who he would later collaborate extensively with for The Lion King and The Road To El Dorado. With all these parts in place, he delivers a very good album. This is definitely "Eighties Elton". The style is a little different, bringing in younger audiences without alienating the old, and Elton would be warmly received on this as well as his next few releases. For the first time in several albums, there were actually two songs that became well known hits. Empty Garden was the warm tribute to the recently slain good friend John Lennon and Blue Eyes was the waltzy sentimental piece that still seems timeless. There are plenty of good rockers as well. Ironically, the album leads off the three hardest tracks rather than space them throughout the mix. Dear John is a good leadoff track, only to be topped by Spiteful Child which incorporates good use of the classic Elton piano. Ball and Chain is third and doesn't let down from the first two. Other notable "soft" tracks are Princess about his soon to be good friend Princess Diana and the Tim Rice written Legal Boys. The album isn't without its letdowns, however. I Am Your Robot is a badly dated song, whereas All Quiet On The Western Front goes on and on.... and on. Elton, always concentrating on image, had a much more toned down look for this period. Gone (temporarily) were the outrageous glasses and bizarre costumes and although his look was much more conservative, he did tend to lean slightly toward the bizarre at times. The album cover, like Caribou seven years earlier, is not particularly worth mentioning. It looks like almost every other cover in the early new wave infested eighties. Fortunately, for the most part, the music doesn't suffer.